Premier League. Saturday December 29. Kick-off 3pm. VICARGE ROAD has been the place for goals this season but Rafa Benitez will be hellbent on changing that this afternoon. 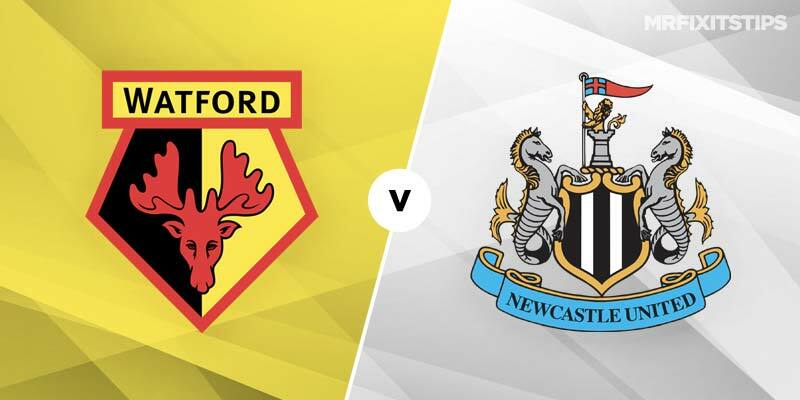 The Newcastle boss is a master of the backs-to-the-wall defensive display and nothing would please him more than nicking a stuffy 1-0 win at Watford's gaff where the last nine games have gone over 2.5 goals. Ten in a row is odds against at 21-20 with 888Sport and that speaks volumes about how the Toon will set up. Benitez's defensive gameplan was blown to bits at Anfield on Boxing when Liverpool dished out a 4-0 drubbing. The Toon have now picked up just five points from the last 18 available and with four of the next five fixtures pitting them against Man United, Chelsea, Man City and Spurs they could badly do with a victory to ease their relegation worries as they hover just five points above the bottom three. They welcome back main goal threat Salomon Rondon today after the big striker missed the Anfield hammering and he'll shoulder the scoring burden having bagged four in seven, including the winner at Huddersfield in the Magpies' last away day. Rondon – 16-5 at 888Sport to get on the scoresheet – will be smelling blood against a Watford defence that struggles to keep clean sheets, with shot-shy Huddersfield the only team to fail to net at Vicarage Road since Brighton's opening-day blank. Watford have plenty of attacking thrust themselves so both teams to net looks worth a go at 9-10 with 888Sport. The Hornets are an entertaining watch under Javi Gracia and, sitting comfortably 12 points clear of danger, look set to see out the campaign in mid-table security. They took seven points from a three-game run, scoring 2+ each time, before losing 2-1 to Chelsea on Boxing Day in a game that could have gone either way. Gracia took plenty of positives from that performance and his team will have the bulk of possession against the Magpies, with the craft of Roberto Pereyra and Gerard Deulofeu crucial to finding a way through. Watford are 3-4 for victory but I prefer the 22-25 for over 1.5 home goals with the Hornets' firepower proving too strong for the ailing Magpies.